To ensure an effective brainstorming session, the facilitator or team leader is obligated to plan the session prior to the event. There’s no substitute for a good plan and this is no exception. The facilitator should determine the adequacy of the problem statement before notifying anyone of the upcoming session. 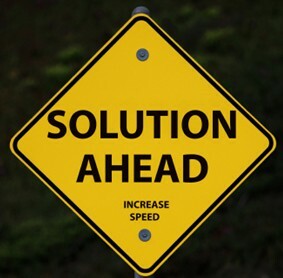 A well written problem statement details exactly what the problem is, and how big it is. Notify the session participants a few days in advance, give a week’s notice if possible. 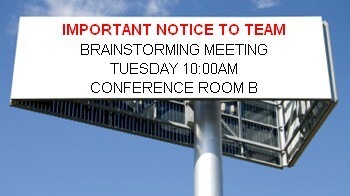 Early warning allows each member to think about the problem and begin to create ideas in advance of the session. 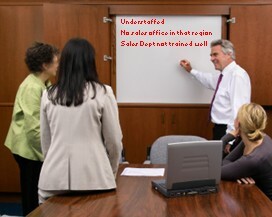 Be certain to inform the team members of the upcoming session. Provide other participants with invitations to the session, and include the problem statement. Determine the allotted time for the session and inform all participants of the timeframe. Generally a session should last no longer than an hour. Do not limit the session to only the team members. Develop a multi-functional team. Invite people who have a vested in your project, and those who may have experience with similar situations. Outside influences will increase the effectiveness of your brainstorming session. Try to limit the number of people in the session to 12 or less. Large groups take much longer to complete a session, but usually large groups create more ideas than small groups. Creating a balance between the amount of time you can allocate for the session and the number of ideas to be created is a delicate task. After a few sessions as facilitator, you should be able to achieve this balance without concern. Determine if rules for the brainstorming session were created by the team. If not, the general rules can be distributed with the invitations. If time permits, it is always best for rules to be created by the entire group. Always review the rules prior to the start of any session. Every response given during the session must be recorded. Responses not recorded will likely be forgotten. Those forgotten responses may be the ones that could lead to additional ideas, eventually solving the problem. The team scribe should never paraphrase an idea, but restatement of a response is allowable to ensure clarity of the idea. This concept is a mainstay of effective brainstorming. The facilitator is responsible for pushing the team through the periods when ideas decrease or stop. Asking questions about recorded responses or having a list of their own responses are good ways to drive the team past this lull. Never stop the session after one or two lulls. Many times the best ideas spring to life after these down periods. After all ideas have been offered, it’s time for evaluation. Eliminate any repetitive ideas and assign each idea to a category. Remember that the brainstorming rules still apply during evaluation. Fair debate is acceptable, but teams should not belittle any remaining ideas or team members. The team evaluates all remaining ideas against the requirements for the project. Ideas that do not pertain to the problem statement should be removed from consideration. However, do not toss these ideas away; they may be candidates for future improvement projects. Finally the team determines the best possible solution from the remaining ideas. A decision matrix can be used to determine which ideas will provide the most benefit, least cost, or the best balance of benefit and cost. Following the guidelines will ensure successful and effective brainstorming sessions.